Characterised by geometric details and bright colours, Alain Silberstein’s watches were avant-garde in his heyday during the 1990s. Though his namesake brand went bust in 2012, Silberstein has designed watches for other independent brands, including the fresh off the press MB&F LM1 Silberstein. 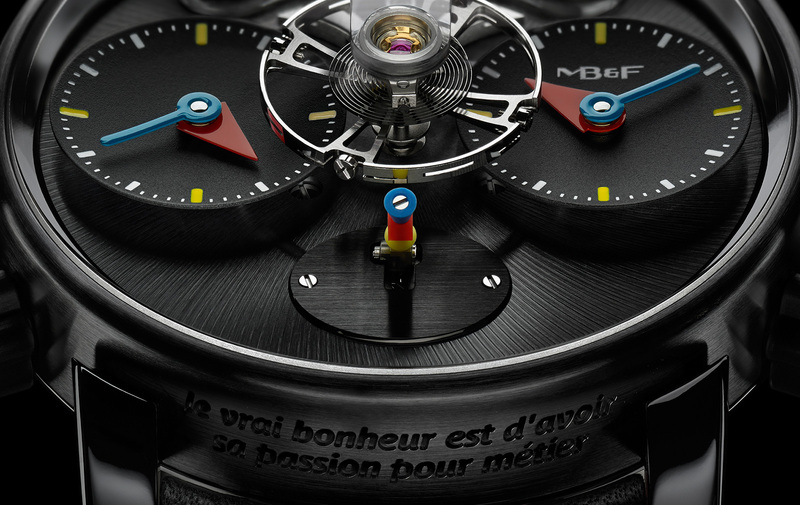 The second collaboration between MB&F and Silberstein – the first was the HM2.2 Blackbox of 2009 – the LM1 Silberstein tweaks the style of the original LM1, giving it a distinctly Silberstein look. Other elements like the triangular red hour hands, six-pointed crown are also distinctively Silberstein. Additional unusual features include the bowl-shaped sub-dials and most notably, a clear sapphire crystal bridge for the oversized balance wheel, meant to provide an unimpeded view of the oscillating balance. 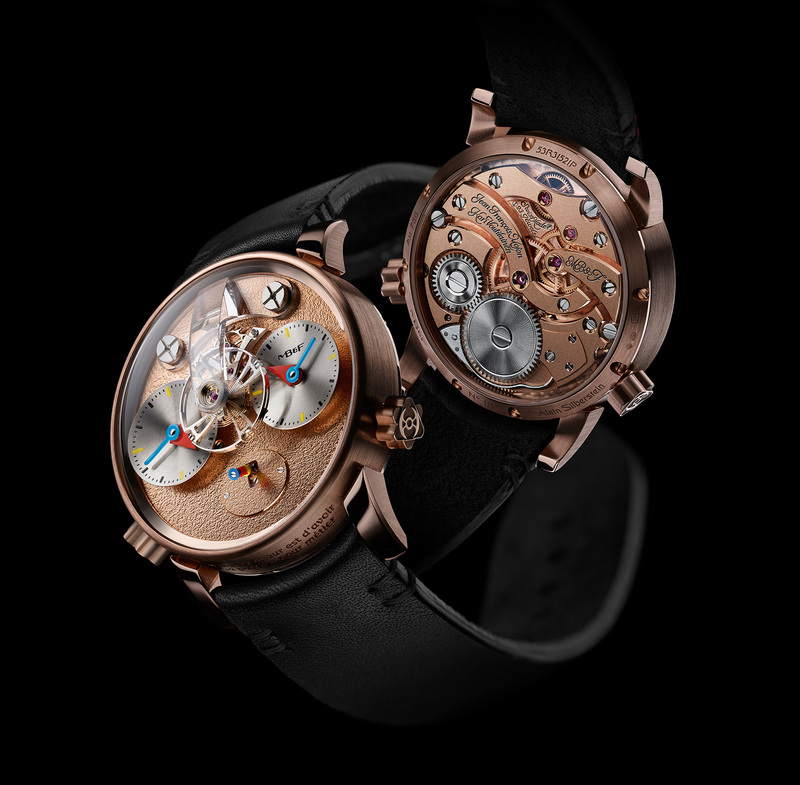 The movement inside is identical to that of the ordinary LM1, though decorated with frosted finish instead of Cotes de Geneve, a look first found on the LM101 Frost. 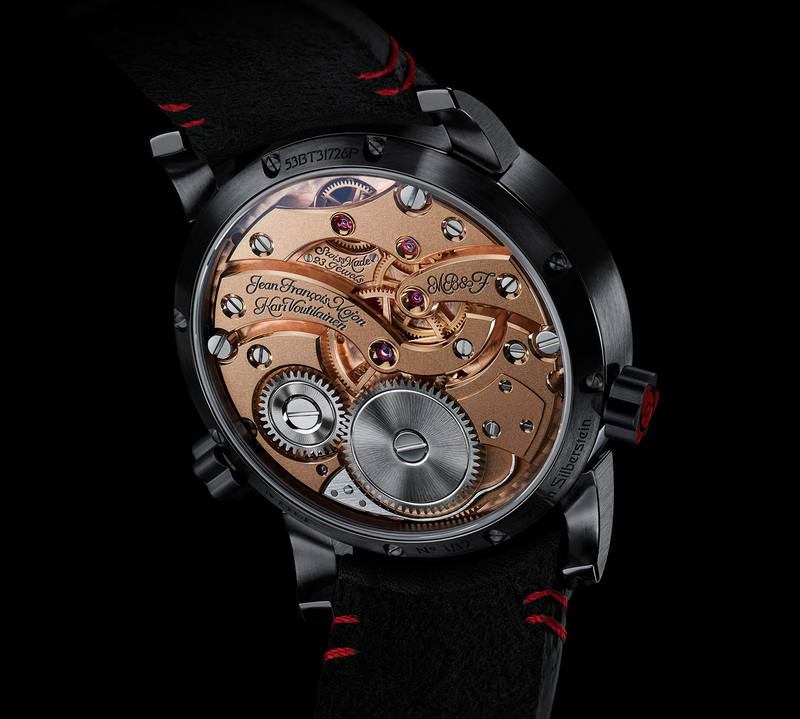 Three variants are available – red gold, titanium or black-coated titanium – each limited to 13 pieces. 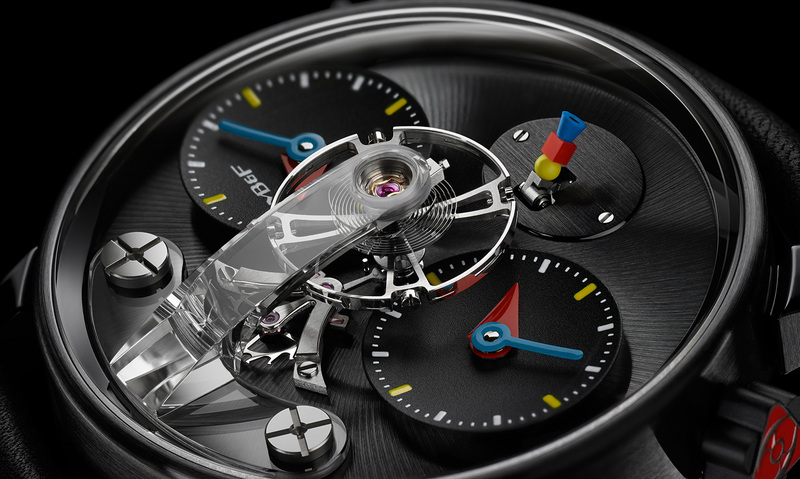 Prices before taxes: titanium and black titanium editions cost SFr79,000 each (about US$80,000), while the red gold is SFr88,000 (about US$89,000). Correction June 8, 2016: Edited to show case diameter of 42.5mm. Limited to just 13 pieces, the LM1 M.A.D. 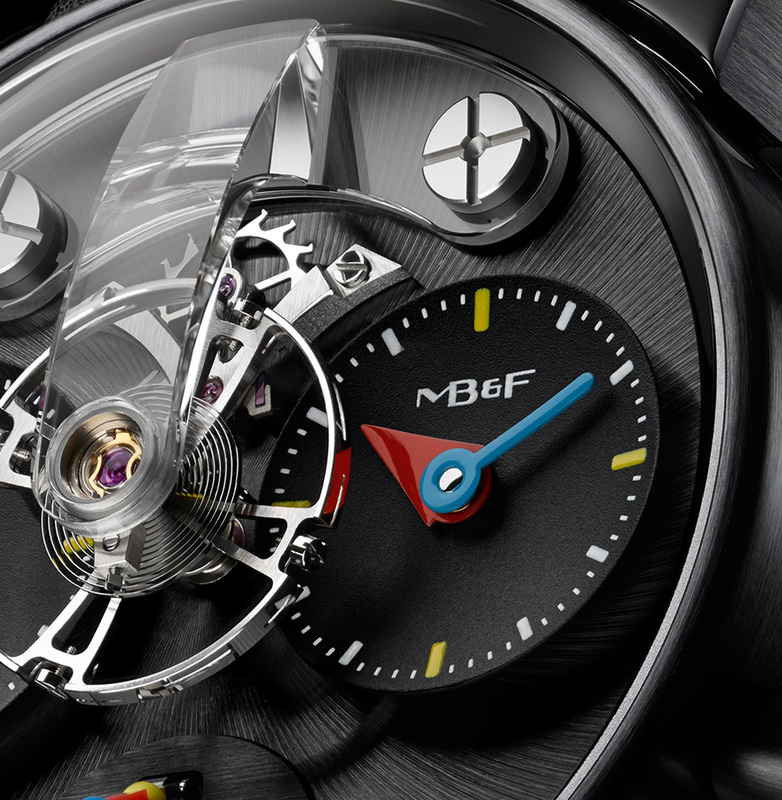 Dubai is exclusive to MB&F's store in the Gulf city, featuring a green dial as well as Eastern Arabic numerals.